We at SVK understand that Hiring is an important function of any organization. Right persons in right place works like two edge strategy for making people and organization impel success as they people build organizations and organization build people. Hiring the right people - sounds easy, doesn't it? Yet we all know it's one of the most difficult of organizational challenges. Making mistakes here is a very costly business. SVK works in the practice that will best suit your long-term needs. With a commitment to quality and customer stratification, our associates initiate the process by knowing your organizational requirements and goals and provide you with tools and resources to further your goal by getting right choice at your work place. Prior to commencing any recruitment activity we invest time in getting to know your business goals , process and procedures. We will work closely with you to plan and define priorities in your needs. 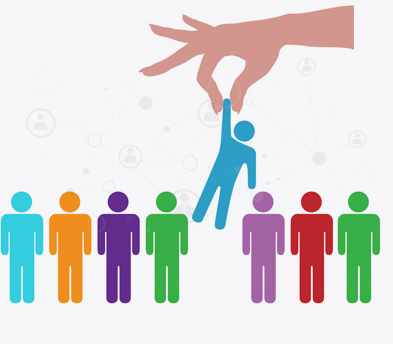 No matter what the position is, be it Permanent or Temp Staffing you will see how effectively we screen and interview candidates to hire talented staff that "fit" with your organization. We can Identify critical success factors for all jobs. Help you apply these factors during screening and interviewing. 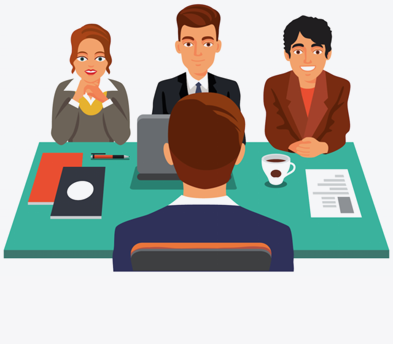 Provide management training on interviewing techniques. Create an efficient and organized hiring process.